YWP-ZA strives to develop interesting and relevant programmes for every biennial WISA conference. See what's in store for the 2016 WISA Conference below and don't forget to register for this event with WISA! How do you find a good mentor and blend the new experience you bring with the more established experience of professionals around you? How do you communicate with people in the water sector when we come from such diverse backgrounds, training and experience? One thing, we've learned for sure at YWP-ZA, is that if you are asking these types of questions of yourself .... you are not alone! These are the kinds of issues that we are all grappling with as we grow and progress in our careers. ​Join us for a session, where you can hear stories of how YWPs from different spaces in the sector are figuring out how to navigate the sector creatively, share your own experience and concerns with us, and help us to put together an agenda of the issues that you need support on through the YWP-ZA network! Prepare to have a moment to share your thoughts, be motivated by YWP's who are doing fascinating things, and help us to articulate how best to support you in your career development as a young professional! Back to basics – come join fellow young professionals, students and recent graduates as they learn the basics on conference etiquette. ​Faced with drought conditions in many provinces of our country, South Africa is at a place in time where the words; “a water scarce country” have become a reality. As government and implementing agents scramble to put into place interventions to address the impacts and consequences of drought and other extreme events, it is of utmost importance for the future generation of specialists, researchers, engineers, analysts and technicians to analyse current responses and, where possible, provide support to current response initiatives. Perhaps more importantly, we know that droughts follow cyclical patterns and that with a changing climate we can expect more regular and extreme weather events. We thus need to learn from current drought responses in order to reflect on how to plan better for future extreme events that impact on the reliability and availability of water supply. For this event YWP-ZA partners with WWF to launch the WWF Water Facts and Futures Report followed by an engaging intergenerational debate around core issues in this report. The Water Facts and Futures report is a snapshot of the state of play of the water sector in South Africa and outlines some of the keys facts and figures as well as future scenarios that may change the way South Africans see water. The chapters are designed to take you through a journey of the water value chain, starting with South Africa’s water resources and highlighting how businesses and people are connected to this irreplaceable resource. It will also touch on the balance that must exist between our engineered and ecological infrastructure and delve into some of the facts of our sanitation systems. As such, it is intended to be a supporting tool to those who are, interested in changing our current paradigm to shift us towards a resilient future without having the necessary expertise. 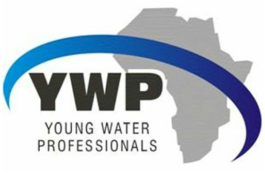 ​As the report deals with future scenarios, launching the full report with the future leaders in the South African water sector is the perfect platform and the YWP Intergenerational Debate at WISA 2016 is the ideal stage to not only launch the report but debate some of the challenges and opportunities that are outlined in the report. We invite all YWPs and more experienced professionals to an event that offers a moment to critically reflect on the scenarios of our future water sector and engage in a debate between younger and more experienced professionals about the challenges and opportunities of our future! How does South Africa understand the value of water, the costs of water, the right to water in a +2 degree world? Come and join in on the YWP-ZA Annual General Meeting, as we introduce and welcome the new YWP-ZA National and Provincial Committees for 2016-2018.